Slifer House is a beautiful Italianate mansion that recalls the Victorian era and turn of the century. 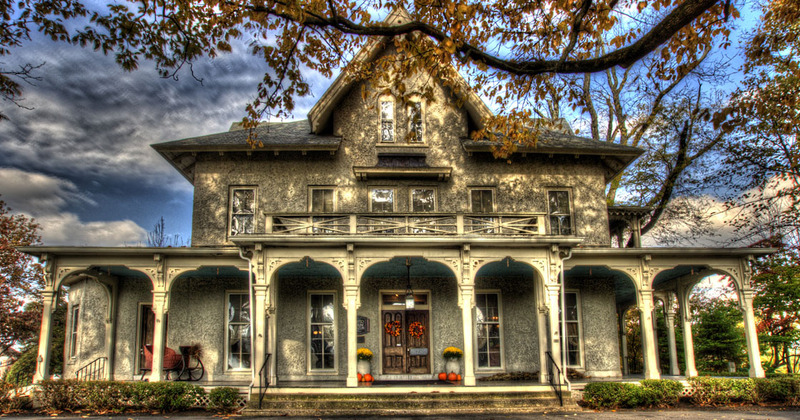 Eli Slifer commissioned a mansion to be built circa 1860 for his family’s estate on 188-acres of farm land known as the “Delta Place” in Lewisburg, Pa. The Italianate mansion was designed by the famous architect, Samuel Sloan, and the family moved in when Slifer became the secretary of the Commonwealth of Pennsylvania. He was named an honorary colonel by Gov. Andrew Curtain for his role in gaining troops and ammunition for the Civil War. A physician, Dr. Lamont Ross, purchased the home and land in 1908, and established his medical practice there to serve the needs of the community. The mansion was sold in 1915 to trustees of the United Evangelical Home, a board assembled by the Central Pennsylvania Conference of the Evangelical Association and whose members regularly met at Central Oak Heights, West Milton. In 1916, the house opened as the United Evangelical Home, a home for seniors in need of care and housing. The house later became the administration building for the Evangelical Home (later named The United Methodist Home), and first community hospital, which had been located in one of the two dormitory buildings built behind the mansion. The house was listed on the National Registry of Historic Places and opened to the public as a museum in 1976. With the hard work of volunteers and generous contributors, Slifer House was restored and furnished with artifacts of the Victorian era and Civil War. Some heirlooms were returned to the museum by descendants and friends of the Slifer and Ross families. Original items from the Evangelical Home, Orphanage and Hospital are also stored there and on display. The house tells the visual history of the people who once lived there, as well as what life was like for people of different social classes in Pennsylvania during the Civil War and through the turn of the century. Albright Care Services is Slifer House’s parent organization. RiverWoods Senior Living Community, the first of Albright’s six sites, has expanded around the mansion over the past 100 years, and Albright takes great pride in remembering the mansion as the place where its mission to care for seniors began. 1860: Eli Slifer commissioned a mansion to be built just prior to the Civil War. 1861-67: Slifer served as secretary of the Commonwealth of Pennsylvania. 1908: Robert and Clara Slifer Green sold the house to Dr. Lamont Ross, and he set up a medical practice in the home. 1910: Central Pennsylvania Conference of the United Evangelical Church decided to purchase a site to care for and house elderly. 1915: The Conference unanimously voted to purchase the mansion and its 188-acre farm from Dr. Lamont Ross. May 1916: The first two senior residents (then “guests”) moved into the mansion. August 4, 1916: The mansion formerly opened as the United Evangelical Home. 1919 and 1926: Two dormitories were built behind the museum, the later housing the first community hospital. 1919-1960s: The house served as the administrative building of the Evangelical Home, later known as The United Methodist Home. 1975: The house is placed on the National Register of Historic Places thanks to the efforts of a history committee.